"... (the title track) is one of those rare songs that seems somehow to exist in a world of its own, not just timeless but ultimately outside of modern music ... falls somewhere between pop and country music, without really being either ... it has just two short verses and one chorus, but says as much in them as many authors say in a lifetime. The final 30 seconds are given over to one of the most evocative instrumental breaks ever and the whole thing hangs together perfectly." 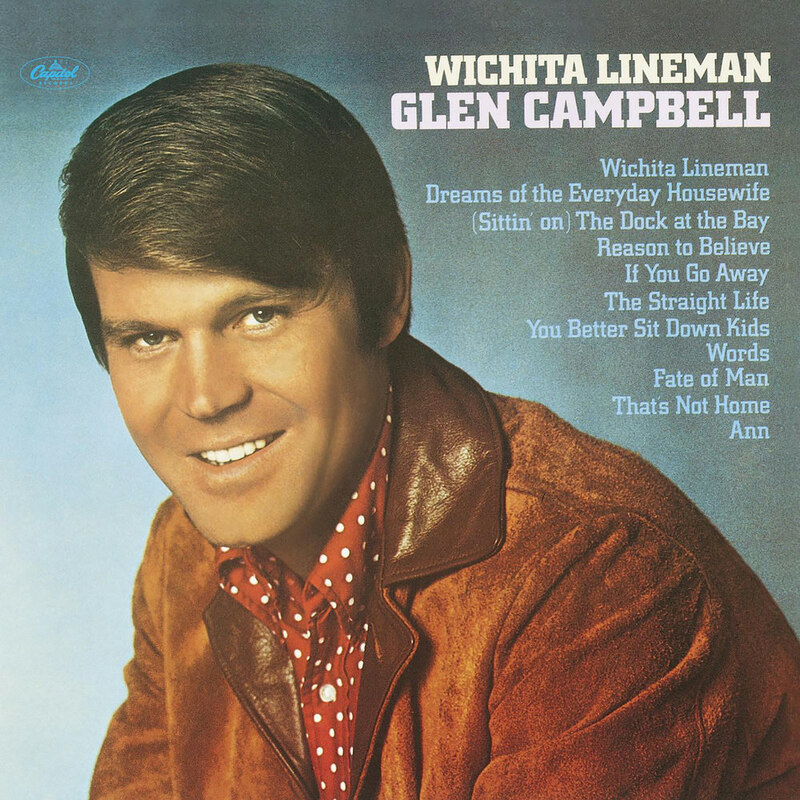 Glen Campbell's first and only number one album, Wichita Lineman was released in 1968, spent 46 weeks on the Billboard 200 chart and has sold over two million copies. The success of the album was driven by the title track, a number one country song and number three mainstream single which was inducted into the Grammy Hall of Fame in 2000 and is included on Rolling Stone's list of the 500 greatest songs of all time.